Wendy leads a small, experienced team that delivers large and diverse research and sector impacts. Project topics range from family homelessness to family foundations. 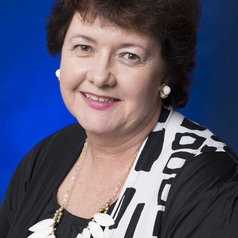 Wendy’s 27 year sector involvement guides her national Project Director role for the collaborative Giving Australia 2016 DSS study as an initiative of the Prime Minister’s Community Business Partnership. Wendy was on the National Compact and Research Australia Philanthropy Steering Committees, serves on the Good2Give and US Association of Fundraising Professionals research committees and a disaster grants committee for the Foundation for Rural and Regional Renewal. She facilitates Queensland’s Social Investors Network and chairs a community heritage/social capital project. She was formerly a state CEO/ national Deputy CEO of a major health nonprofit.